Dawn on Omaha Beach by Elisha Ray Nance. On June 6, 1944, at a stretch of sand known as Omaha Beach, a group of courageous and frightened Virginians achieved an astounding thing, a victory won at great cost. Elisha Ray Nance from Bedford, Virginia, an officer with Company A, 116th Infantry Regiment, 29th Division, was one of those courageous men. 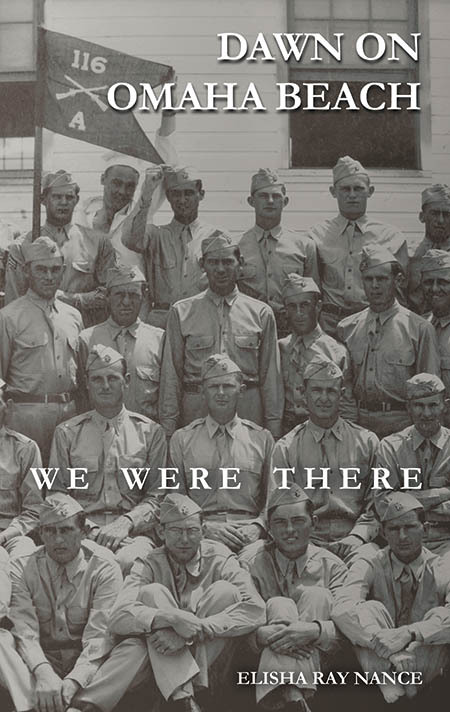 Before he died, Ray penned his memoir of Company A's role in the war; a first hand account of truly remarkable men who made - and changed - history. Available at the National D-Day Memorial Foundation in Bedford, Virginia. Retail $19.99. Proceeds benefit the National D-Day Memorial Foundation. Life of a Lynchburger, A Memoir by Dr. Peter W. Houck. This book gives insight to life of this Lynchburg citizen who succeeded as a pediatrician as well as a catalyst for positive changes in his native city. His interest in local history led him to research and write about events of interest to him. $15.00 Proceeds to benefit the Sandusky Foundation. A Prototype of a Confederate Hospital Center, by Peter W. Houck. This book depicts life as it was in the Confederacy's largest medical outpost center, Lynchburg, Virginia. Evaluated by two eminent Civil War historians, Dr. James I. Robertson, Jr. and Col. John Barrett, and received excellent reviews. (228 pages, over 80 illustrations, including many original photographs and drawings) Paperback $14.95. With understated passion and rich detail Colonel Kurtz marches readers through the lethal swealtering jungles of Vietnam, 1966. No reader will turn the last page of this memoir untouched by the unique complications of this war and by the soliders who struggled through it. This book is hardback with dust jacket, 262 pages. $40.00 retail $24.00 wholesale. P/H is $4.00. Virginia residents add 5% sales tax. Commemorates the 125th anniversary of the Battle of Lynchburg, Virginia. Photographs of the Union and Confederate Generals and the official Jed Hotchkiss battle map. (16 X 20) All 590 prints are numbered and can be color hand-tinted.